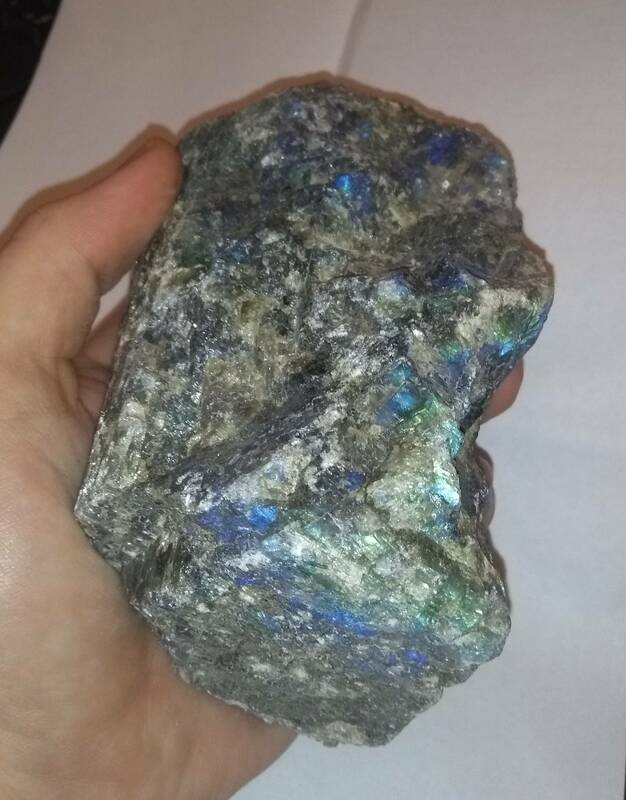 Rough Labradorite pieces measuring around 30-50MM long. Perfect for lapidary and for collectors. 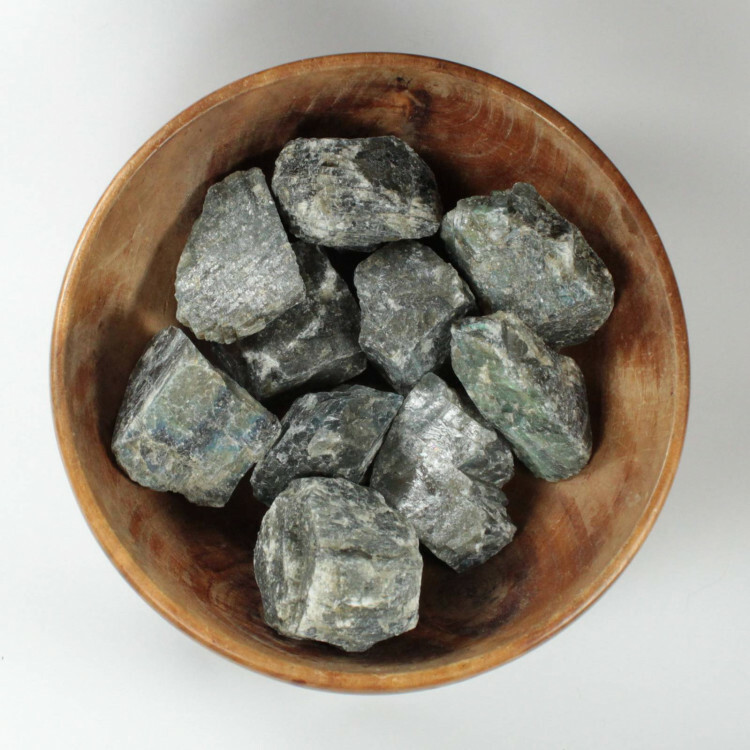 These pieces are perfect for mineral collectors, rock tumblers, and lapidarists alike. 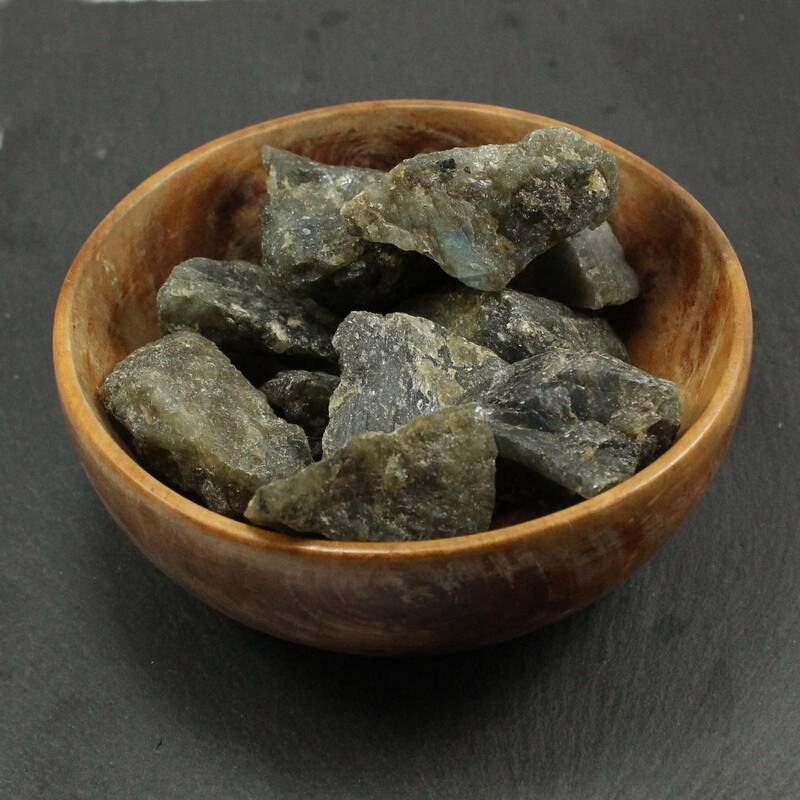 As they are rough natural pieces of Labradorite they may or may not always have ‘play of colour’ – the polishing tends to bring that out. When there is colour, it is typically best seen when the stone is wet. In our photos, the pieces are freshly washed, but not wet. Rough rock tends to get a bit dusty when stored in bulk, as it all rubs together. 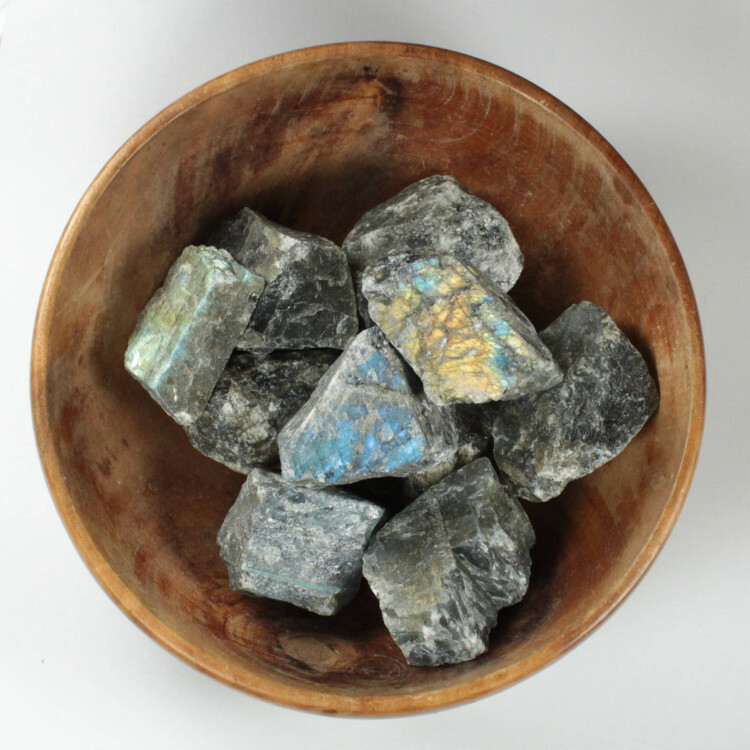 For more information about Labradorite, and a full list of our related products, please see our ‘Labradorite’ section. We also sell a wide range of rough rock for Lapidary!